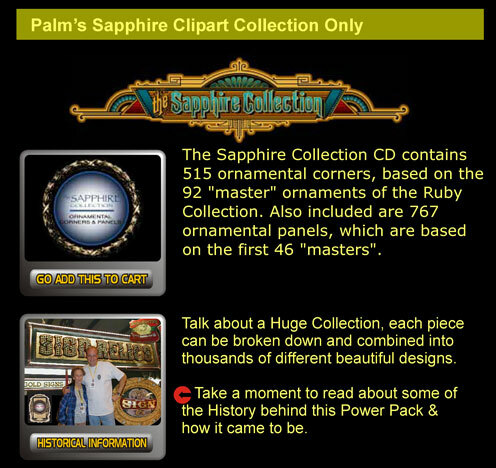 Sapphire Collection clip-art-Palms Ornamental CD contains 515 ornamental corners, based on the 92 "master" ornaments of the Ruby Collection. 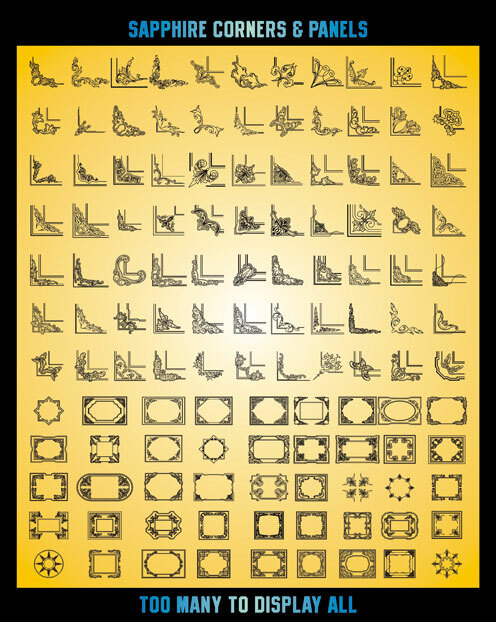 Also included are 767 ornamental panels, which are based on the first 46 "masters". That's a total 528 megs of 19th Century eye candy! The disk is PC and Mac compatible, each file is saved in both AI 3.0 and EPS 3.0 formats. Each vector illustration is meticulously "hand" vectored. 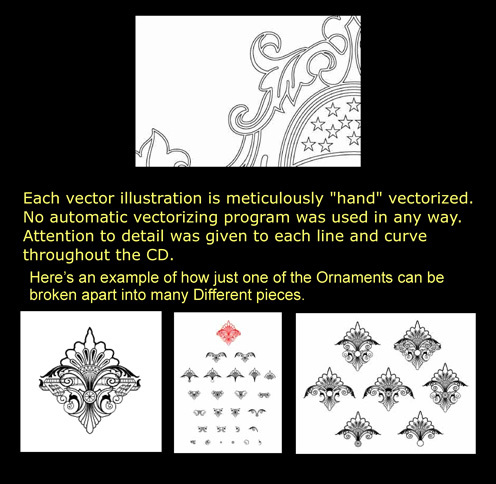 No automatic vectorizing program was used in any way. Inspired by Rick Glawson and designed by Don Coplen. 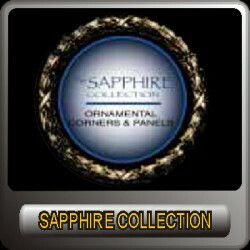 Sapphire Collection clip-art-Palms Ornamental CD contains 515 ornamental corners and 767 ornamental panels.